Leaving behind the tick’s mouth parts may result in a localised infection, which in severe cases can lead to abscesses and even septicaemia. Compressing the tick’s body or causing injury or irritation to the tick may its saliva and gut contents to be regurgitated back into the bloodstream of its host (the person or animal it’s attached to). These fluids may contain infections. Puncturing the body of the tick may cause spillage of infected fluids onto the host or on to the person removing the tick. The only safe methods of removal are by using fine pointed tweezers or a special tick removal tool. Do not twist or jerk the tick as this may leave its mouth parts embedded, or cause it to regurgitate infected fluids. If any mouth parts do break off, they may be removed with a sterilised needle or tweezer points. Do not squeeze or crush the body of the tick, because its fluids (saliva and gut contents) may contain infections and leak into the host’s bloodsteam or into the skin. You may want to save the tick for identification in case the person or animal the tick was attached to becomes ill within several weeks. Write the date of the bite on a piece of paper and put it with the tick in a sealed plastic bag either dead or alive and store it in a freezer. Your doctor / vet can then be certain that a tick bite has occurred and use this information to assist in making an accurate diagnosis. Public Health England run a tick surveillance scheme. You can send the tick in but will not receive results on whether the tick is carryina pathogens. For private laboratory tick testing which does give you results, please see here. If you don’t want to keep the tick, the best way to dispose of it is to place it in a tissue and squash it, wearing medical gloves. Then flush away the tissue or dispose of it in the dustbin. This will prevent the tick from going on to bite another person or animal. Although not every tick carries disease, immediate removal of an attached tick is recommended. 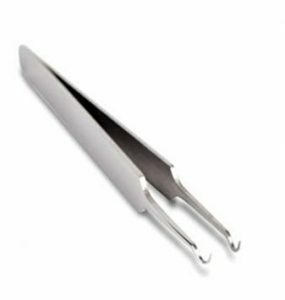 There are a few tick removal tools on the market and one of the devices favoured by professionals, is the O Tom Tick Twister ®. It is designed to cradle the body of the tick and doesn’t exert pressure on either its mouth parts or its abdomen. It can therefore be safely twisted in one direction (either clockwise or counter-clockwise – the tick is not screw-threaded), which allows the barbs on the tick’s proboscis to be freed from the surrounding tissue. The twisting action also helps to crack the special saliva cement that most hard-tick species secrete in order to firmly attach themselves. The tool doesn’t cause any compression to the body of the tick and so it minimises the risk of back-flow of the tick’s saliva and gut contents, and therefore helps to avoid disease transmission. You may want to save the tick for identification in case the person or animal the tick was attached to becomes ill within several weeks. To save the tick, write the date of the bite on a piece of paper and put it with the tick in a sealed plastic bag and store it in a freezer. Your doctor / vet can then identify that a tick bite has occurred and use this information to assist in making an accurate diagnosis. Public Health England run a tick surveillance scheme. You can send the tick in but will not receive results on whether the tick is carryina pathogens. For private laboratory testing which does give you results, please see here. 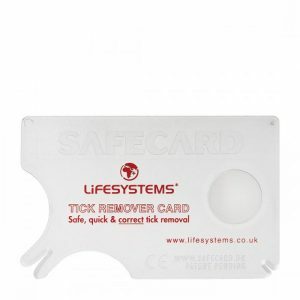 Lifesystems® offer some slightly different tick removal tool options such as this credit card sized tick removal card which has a magnifying lens and a choice of two sizes of tools. Whichever tool you choose, please follow manufacturing instructions carefully as they will vary between tools. 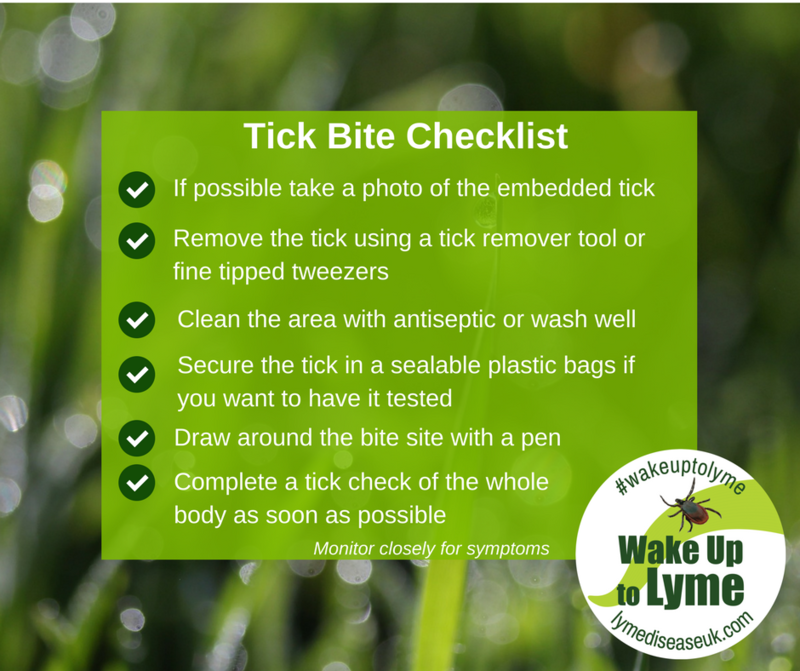 If you notice an EM rash or become unwell following a tick bite, see your GP immediately and mention your concerns about Lyme disease. Draw around the rash with a pen to monitor any changes and take photos. Please note that around one third of Lyme disease patients never experience an EM rash and so it is important to look out for symptoms as well and keep a symptom diary. 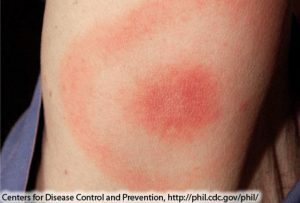 EM rash is diagnostic of Lyme disease. It can be bull’s-eye shaped but also atypical in appearance. It can appear a few days after the bite, or even 1-3 months later. It doesn’t always appear at the bite site and is not usually raised, painful or itchy.